Spirit! 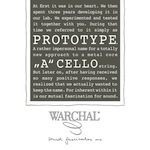 cello strings are the newest innovation from Thomastic-Infeld. Made of a steel core (A & D), rope core D & C) the new Spirit! cello strings have a vibrant, warm sound. The advancing player and aspiring artist will find that Spirit! cello strings provide everything needed to produce a distinguish sound for every kind of music. Versum strings impress with a beautiful tonal balance: a sweet top and a warm, velvety and round bottom. With their focused sound and precise and powerful intonation they give your instrument a unique personality and offer you great versatility in expression. A vast spectrum of colors and an ideal balance across all strings provide support for the cello‘s lower voice while accentuating its soloistic opportunities. 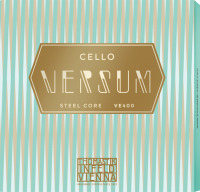 The VERSUM SOLO edition offers unprecedented possibilities of combining color, sound and texture. These strings were designed for profound power, ideal response and optimal projection - and they deliver! With effortless virtuosity they are poised to enhance the performances of even the most discerning players and cut through any acoustical situation. 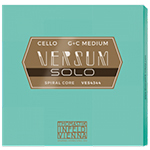 VERSUM SOLO G- and C-strings embody an as yet unrivalled synthesis of explosive dynamics and graceful flexibility with the best possible response. Their solid, deep core tone is surprising with its brilliant and vivid note. The brand new twin set ideally fits in the modular string selection system introduced by Thomastik-Infeld in 2017: developed to support artists in realizing and personalizing their sound philosophy, it makes it easier to find the optimal string set up. 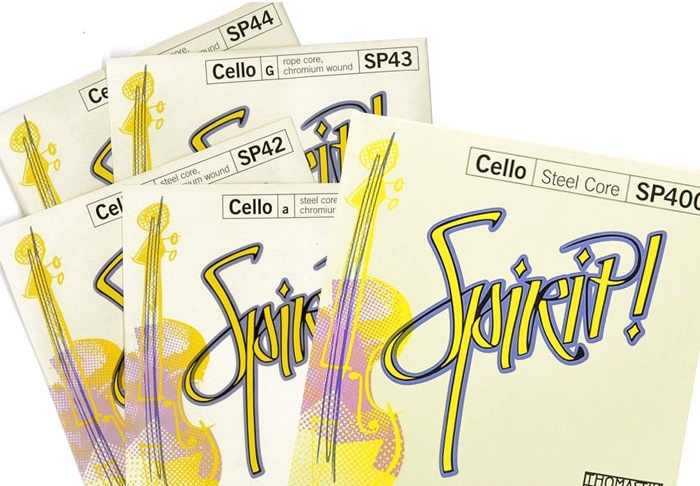 This string was originally developed as an alternative to the current “A“ string for the Brilliant cello set. We had been concerned that the synthetic “A“ string might be too fragile. However we solved the issue of the synthetic string durability and the metal core version started to take on a life of its own. It was tested by many players worldwide and the results were unexpectedly good. 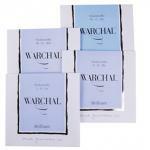 We therefore decided to add it to our range as a separate string. The new synthetic core Amber set combines the powerful projection of metal strings with the full-bodied depth and warmth of gut. When we developed our Brilliant cello set in 2010, we began a specific journey. Although using synthetic strings for cello hasn't become standard yet, we were able to offer cello players all the benefits of synthetic core strings. The early reaction of the cello playing community confirmed our decision was right. Our customers appreciate the textured sound that can be sculpted almost limitlessly by adjusting bowing speed and more importantly the contact point. Mostly we heard from Brilliant users that their instrument sounded more relaxed, keeping its own character. Taking all the feedback we've had into consideration we decided to create another option. One that comes closer to the robust sound projection that you know from playing metal strings, while retaining the beauty of sound that has already become the standard for our cello strings. 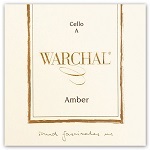 The result is the new Amber set for cello. Because any cello synthetic core A string is quite fragile both in handling and durability we also offer a metal version of the Amber A string. It is the first time that our newest invention, the helix solution, has been applied on a cello string. This improvement was originally invented by Bohdan Warchal in 2013 to solve the sound difference of metal E strings and whistling problems on violins. After its tremendous success we applied our invention on metal viola strings too. 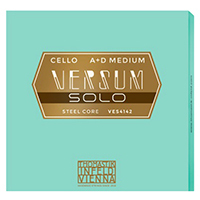 Now cello players can benefit from a metal A string with increased elasticity which offers the most wonderful sound. Intended for players who want a BRILLIANT, full, projecting sound with rich overtones. These strings really enhance the character of the instrument. They are lower tension than steel strings so have the benefit of also working very well on more fragile cellos. Brilliant strings need about three to four days to settle before reaching their full tone quality.